Should you have a Danish husband or male friend who is an unrelenting back-seat driver, perhaps it’s time you set aside your irritation and listened to them. You see, the seafaring Vikings seem to have passed on their sterling navigation skills. 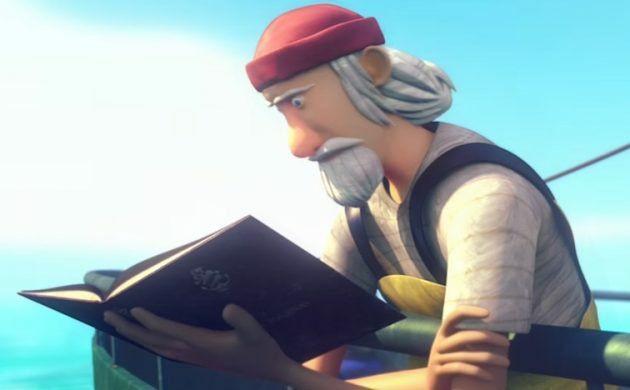 The developers of the popular mobile game Sea Hero Quest have discovered that the world’s best navigators are actually young Nordic men. The developers made their discovery after analysing the play of 2.4 million people across 193 countries who downloaded the game. Sea Hero Quest was developed to help research Alzheimers, and now, thanks to the game’s immense popularity, researchers have a massive source of data that provides unique insight into how humans’ sense of direction diminishes over the years and how it is influenced by gender and background. “This is the only study of its kind, on this scale, to date. Its accuracy greatly exceeds that of all previous research in this area,” said Hugo Spiers, a doctor at the Institute of Behavioural Neuroscience at University College London, who led the research. Sea Hero Quest involves players having to shoot an emergency flare back into the direction of their point of departure following a long journey. The results showed that the Finns had the best sense of direction in the world, followed by the Norwegians, Swedes and Danes. The results also showed that men generally had a better sense of direction and that it begins to diminish at an early age, during their late youth – in the game, 74 percent of 19-year-old players shot the flares in the right direction compared to just 46 percent of 75-year-olds. The results were presented during this year’s Neuroscience Conference in San Diego, which concluded on Wednesday.